Hey! 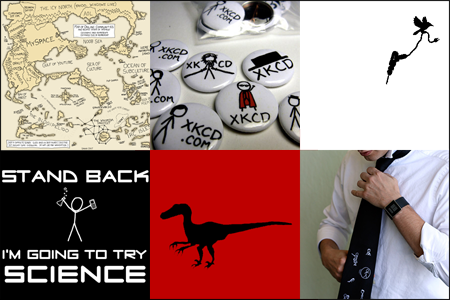 This Sunday is the Christmas domestic shipping deadline for thexkcd store. If you want a (US) order to arrive by Christmas, Sunday the 19th will be your last day to place it. The xkcd book was published by Breadpig, and their portion of the profits are donated to various worthy projects. The sales so far have funded the building of a school in Laos, which Alexis Ohanian (the founder of BreadPig) and his cohort Christina Xu recently visited. If you're stuck on a geeky present idea, Alexis has put together a geek gift bundle at the Breadpig store. The Breadpig, xkcd, and reddit stores are all run together, so you can mix and match stuff from all of them in one order.